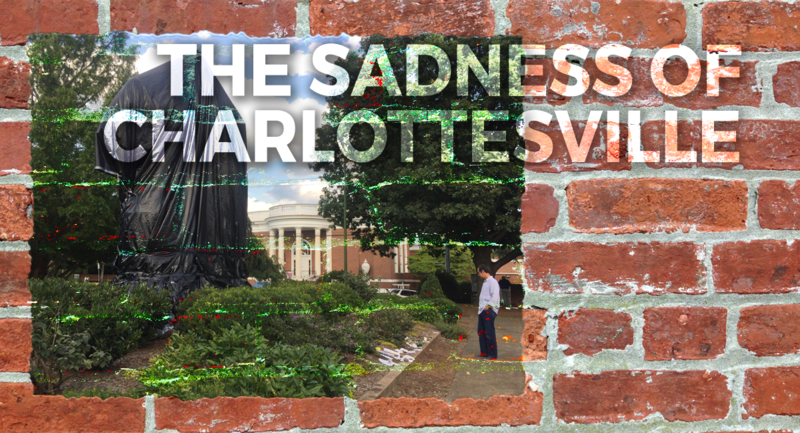 There is much to be sad about here in Charlottesville. This past week our City Council voted to shroud our two prominent confederate statues of Robert E. Lee and Stonewall Jackson. The move is intended to be seen as a symbol of mourning over the death of Heather Heyer who was killed when she was struck by a car during the upheaval at the Alt-Right rally earlier this month. Unfortunately, the shrouds look a lot like giant garbage bags which immediately caught traction on social media with those who want these monuments torn down and tossed out like a plate of bad leftovers. A prominent photographer friend of mine posted a picture as the drapes were being placed on one of the statues. He ended his post with these words about Charlottesville… “This is not the place I use to know”. I won’t try and put words in my friends mouth about what exactly that means for him, but there is a bit of that sentiment in the air here. Let me say that I don’t really consider myself a “Southerner”. I’ve lived in Virginia since 1993 and in Charlottesville since 1995, but I’m a Texan by birth. It’s true that Texas fought as part of the confederacy, but many from Texas are much more “Texans” than they are “Southerners”. As a matter of fact, lots of Texans are Texans before they are Americans, which you’ve probably encountered along the way. Let me also say that in no way am I part of “The South Will Rise Again” movement that we occasionally hear about. My ears always perk up when I hear stories of the secession of Texas (not that it would ever happen), but as Texans we tend to be independent folks who often think we can do things better on our own. BTW, the modern day discussions of secession have nothing to do with slavery, just in case anyone reading this is wondering that in this current climate. So what do I find sad about the current ongoings? • I find it sad that the great little city of Charlottesville has become known around the globe for the ugliness of White Supremacy and the ugliness of Antifa. I stood in the midst of both of these groups with a camera on my shoulder and saw some of the ugly parts of humanity. Both of these groups are tiny slivers of society and truly do not represent the great people of Charlottesville. • I find it sad that “voices of reason” on both sides of the statue debate are totally drowned out by the extreme voices that the media loves to cover. • I find it sad that the “f” word was used in abundance by many different people in their anger at our recent City Council meeting and that no one with any authority attempted to make the conversation more civil. • I find it sad that one of our community members lost her life. And I find it sad that the “cause” has turned her name and identity into a rallying cry for their political purposes. Who was she? Most of us never knew her. Was she an artist? Did she excel at sports? Was she strong in math & science? Was she a church-goer? An atheist? Did she love animals? Who was she? Most of us will never know and now she has been immortalized by those who seized the opportunity and have collectively galvanized her into something that probably was only a very minor part of her life. That saddens me. • I find it sad that more than 150 years have passed since the Civil War ended and that my black brothers and sisters still have to deal with the emotional and psychological chains of slavery. And I find it sad that even when the statues of Lee and Jackson are removed from their parks that the issues of racism won’t go away with the monuments. True, those who feel oppressed won’t have to look at the statues any longer, but all of those white supremacists will still blend into our society. Those who hate people for the color of their skin will still shop in the same stores, eat at the same restaurants, work at the same jobs, and hate with the same hate. The point is that the statues are not the problem… the heart of man is the problem. • I find it sad that in the progressive little City of Charlottesville we’ve had parks for 100 years with statues of confederate generals, but no one ever worked hard to create a park dedicated to Martin Luther King, Jr. or any other civil rights activists. What would the dialogue in Charlottesville be like today if 40 years ago the city had carved out a park and installed a statue of MLK? He has a performing arts center named after him, but buildings are different than statues. • I find it sad that those who use this statue as a learning tool to never repeat the mistakes that our forefathers made, will no longer have that opportunity once the monuments are gone. I’m not one that looks at these statues as “heroes of slavery”. When I look at any confederate statue I look with a tinge of pain and grief and I’m also reminded of how lucky I am to even exist in this world. Two of my great-great-grandfathers (non-slave owners) fought for the South (one from Texas and one from Mississippi). The one from Texas left Cherokee County with 6,000 other men… only 600 returned from the war and he was one of them. So I consider myself very fortunate that he even survived, because if he hadn’t I wouldn’t be here. So my sadness about the tearing down of monuments has absolutely nothing to do with slavery. It has more to do with feeling of gratitude I get when I’m reminded of how fortunate I am to be alive in this world. A friend from California recently asked me that when these statues come down, as Christians, “shouldn’t we be rejoicing?” I guess I don’t know. I’m sure some will see it that way and I understand their reasoning. As far as rejoicing, I want to rejoice whenever I see my black friends and neighbors accomplish great things. I have several that are filmmakers and artists and I want to celebrate with them in all of their accomplishments. I want to rejoice with the accomplishments of the civil rights movement. I’ve taken all of my kids to Selma, Alabama to walk the Edmond Pettus bridge and I’ve taken them all to Memphis, Tennessee to stare up at the balcony of the Lorraine Motel, because I want to instill in them a love and respect for the work of Martin Luther King, Jr. and all that he did. I also want to rejoice when I see a black father loving on his kids and involved in their lives. They say now that over 70% of African-American’s are born out of wedlock. With statistics like that and the fact that the family unit is the building block of a society I would argue that the issue of “family” is far more important today than the issues of “slavery” and “oppression”, but unfortunately, nobody’s out in our parks and streets marching about that. This article originally appeared in a slightly modified form as a response to a Facebook post. SUMMARY: A famous operatic quartet finds themselves living together in a home for retired musical stars… but will they ever perform again? DETAILS: Dustin Hoffman directs this fantastic story about life in a retirement home for aging musicians. When the fourth member of an operatic quartet moves into Beecham House, three of the four decide to get the quartet together again for a final performance of their famous Rigoletto. 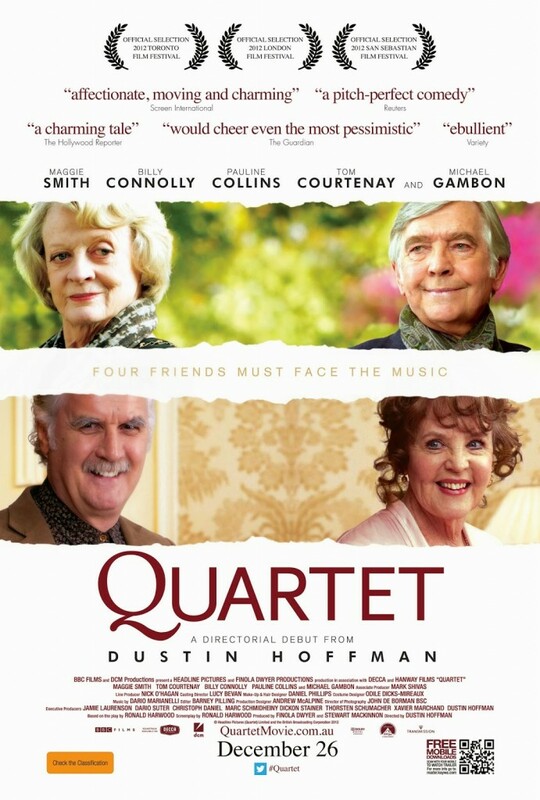 But an aging diva who worries about her voice along with her failed marriage to one of the other members of the quartet are obstacles that may be insurmountable. A brilliant performance by Billy Connolly (A Series of Unfortunate Events) tops this great cast of fun, rich characters. 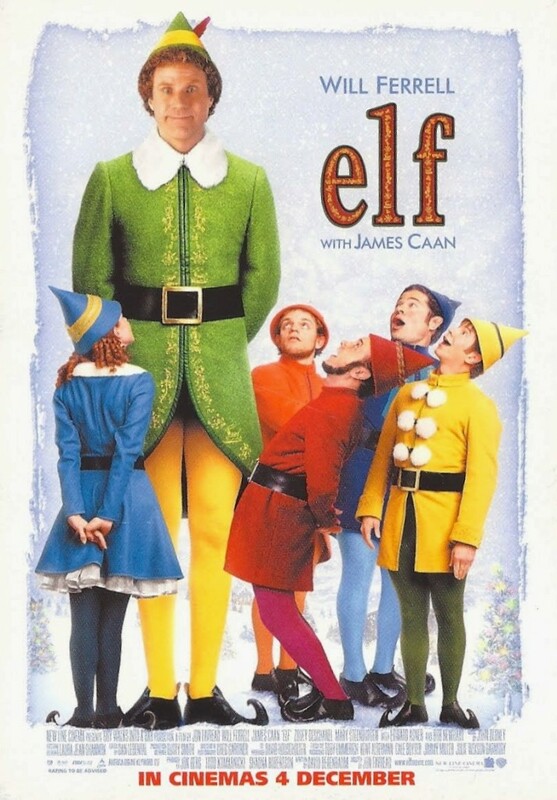 SUMMARY: Raised by Santa’s Elves, Buddy the Elf learns he’s a human and sets out to meet the father he’s never known. Pseudo-hilarity ensues. DETAILS: Will Ferrell plays Buddy the Elf who was raised among elves in Santa’s Workshop at the North Pole. But the day comes when Buddy learns he’s a human and that his real father lives in New York City. So Buddy leaves on a journey to meet the man he’s never known. He gets a job in a department store’s Christmas department, falls in love with a co-worker, and destroys his dad’s career, but along the way he helps restore the Christmas spirit that’s long been lost. A Christmas comedy it is, but it’s funny moments are only so funny, and in the end, Elf just can’t compete with the Mother of all Christmas Comedy’s… A Christmas Story. SUMMARY: In a world where all emotions have been neutered, a young man sets out to free them all. DETAILS: Based on the 1993 novel by Lois Lowry, The Giver tells the story of a young man in a world free of emotion. Each individual is assigned work based on their giftedness, but Jonas (Brenton Thwaites) is special. He’s given the responsibility to carry the history for the people, an extremely rare assignment that literally places the emotional weight of the world on the one who carries it. 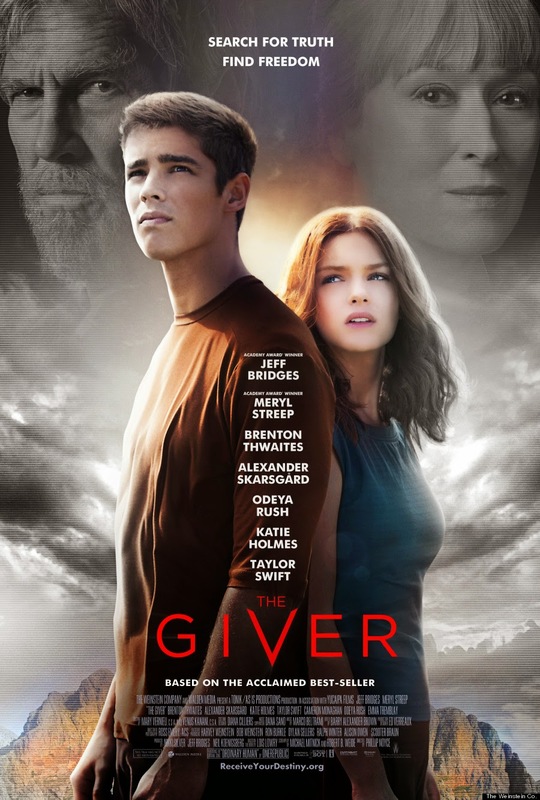 The Giver (Jeff Bridges) shares his gift with Jonas who soon learns that he has the opportunity to help bring emotions back to his world. They say I should have read the book before seeing the movie. I wish I had. I really wanted to like this more, but certain parts of the story (i.e. the boundary being crossed to restore emotion) just fell flat for me. 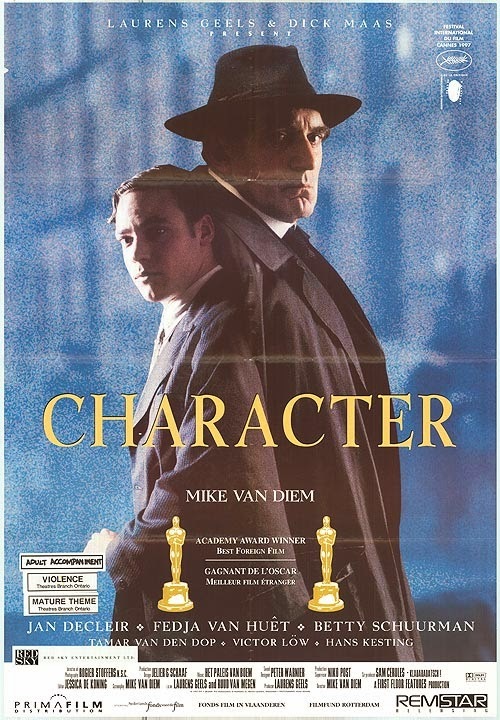 DETAILS: 1920’s Netherlands is the beautiful backdrop for this film about a boy who’s mother was impregnated by the town’s oppressive bailiff. The story begins with the death of the father on the day the son becomes a lawyer and the son his the last to see his father alive… a bloody visit where we don’t know all the details. The story then takes us back in time as we learn of the boy’s origins, his struggles to make a life for himself, his mother’s continual rejection of his father, and his father’s continual attempts to make life difficult for his own son… a conflict designed to build Character. 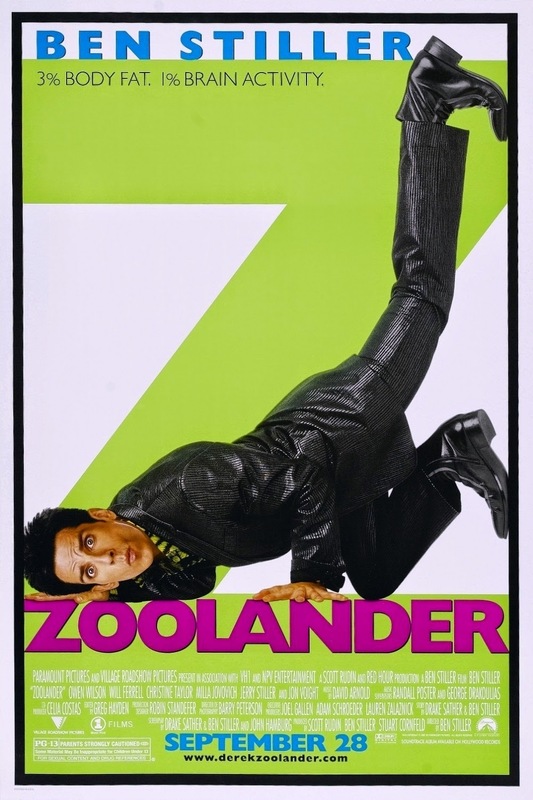 This film won the Academy Award for best foreign film of 1997. 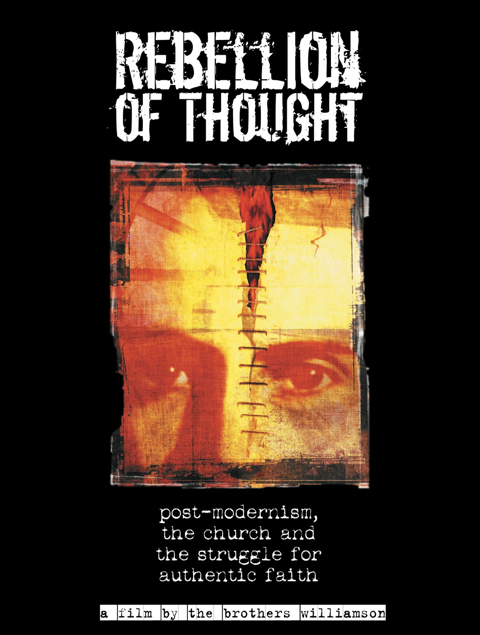 SUMMARY: Two stories woven together… Post-Modernism explored and my personal journey away from the traditional church. DETAILS: I haven’t watched this film in a few years and I realized that I come across as rather egotistical…. imagine that happening when someone puts themself into their own film! SUMMARY: From Chain Gang to Soggy Bottom Boys three men search for redemption in this retelling of The Odyssey. 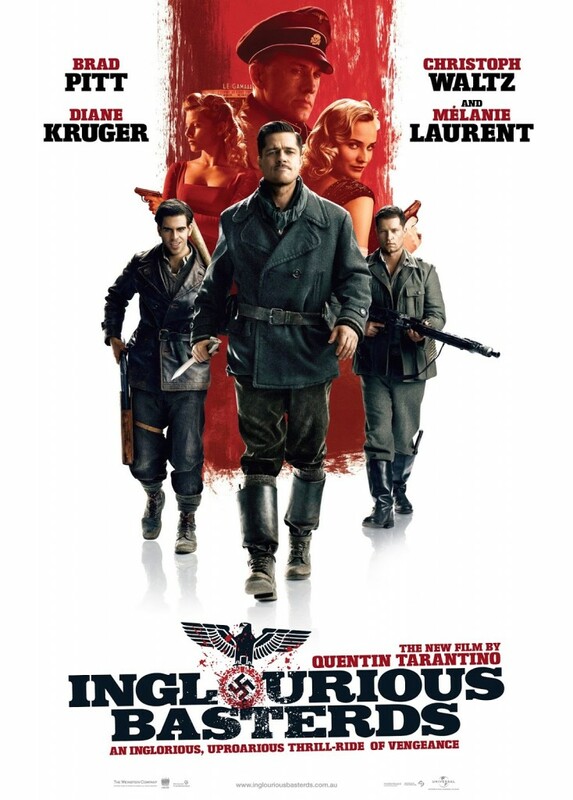 DETAILS: George Clooney leads the escape of his chain-gang from the prison in the south on a journey toward redemption. 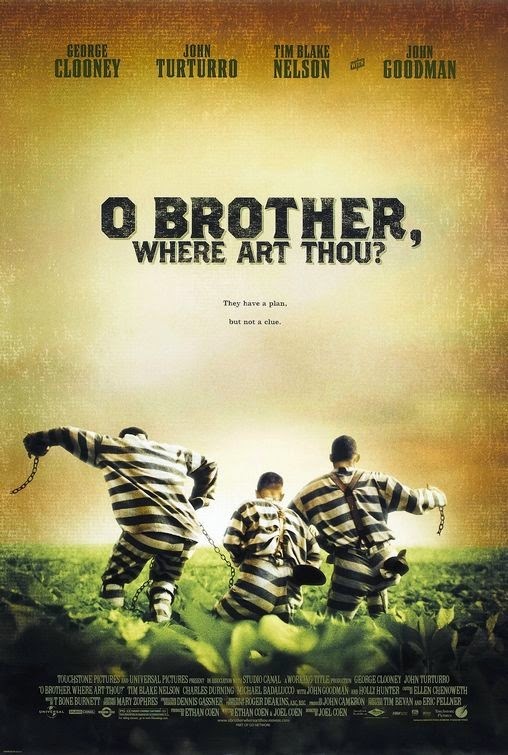 It’s brilliant, funny, classic, Coen Brothers at their best. DETAILS: I give this film a .5 instead of a zero in order to recognize that some filmmakers gave of themselves to make this. If filmmakers weren’t involved I would have given it a zero.